Enjoy a walking food tour through the streets of the French Quarter and make sure to grab a muffaletta or a po-boy, something cool to drink and take a bite into New Orleans history! Some of New Orleans best-known foods originated as working class foods in or around the streets of the French Quarter. 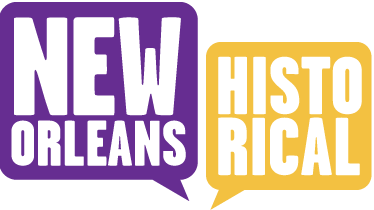 The Vieux Carre reflects the complexity and diversity of New Orleans’ 300-year history. The Mississippi River and the French Market served as an anchor for the neighborhood as well as a port of entry for both people and goods. The foods sold on the streets and in the market told a story of the city's inhabitants: Spanish, Native American, Sicilian, French, African, and Irish. Many vendors started out selling goods on pushcarts, wagon, or on foot. Some would establish permanent stalls in the market or restaurants on the edge of town. If you had a good corner location close to the market, and you were enterprising, you could prosper. For some enslaved women, selling pralines, coffee or calas (a beignet-like rice fritter thought to have originated in rice-growing regions of Africa) allowed them to buy their freedom. Rose Nicaud, a free woman of color, was a “vendeuse” or vendor who sold coffee around the market in the 1800’s. Many vendors, such as Central Grocery (that created the muffaletta sandwich for Sicilian dockworkers), catered to workers in and around the market. The Poor Boy sandwich also was birthed on the edge of the French Market in support of striking streetcar conductors. In a 1915 Times-Picayune article, the author detailed fish stands, sidewalk restaurants, curbstone cafes, waffle wagons, tamale men and multiple “odd unconventional eating places” lining the riverfront. Many older New Orleanians can still recall the wagons that roamed the streets and hawked their wares, such as waffles, roman candy, fresh produce, rags, milk, tamales, sfincione pizza, or muffalettas. Even today, New Orleans has a wide array of foods sold “to go” on the streets of the French Quarter, designed now for its latest inhabitants, the tourists. Walking down Bourbon Street you can grab a daiquiri or Hand Grenade cocktail in a go cup, or buy a hotdog from the iconic Lucky Dog cart. Closer to Jackson Square there are still praline stores, beignets and Café’ au Lait.